The California Energy Commission has released a $5 million research grant solicitation designed to better protect the grid from the growing threat of climate-related wildfires. Transmission and distribution grids crisscross the state including areas prone to wildfires. The impacts of climate change have increased the frequency and intensity of wildfires, putting the electrical grid at greater risk. High temperatures and extreme winds have been critical factors in some of the most devastating wildfires in California. In some forest areas of the state, intense wildfires have been fueled by millions of dead trees killed over time by drought and a catastrophic bark beetle infestation. To help protect the grid, investor-owned utilities need ways to increase their awareness of wildfire behavior and to conduct near- and long-term wildfire risk forecasting for localized areas. The Energy Commission’s solicitation will help develop next-generation wildfire risk models. These advanced analytical tools will help ensure the resiliency of the grid by predicting climate change risks. The tools will also analyze fire behavior in the wildland-urban interface, the transition zones between unoccupied wildland and developed areas. Some of the most destructive fires have occurred in those spots because of the close proximity of wildfire fuel to homes. The solicitation is funded through the Energy Commission’s Electric Program Investment Charge program, which supports clean energy research. It has two phases. During the first phase, $4 million will be available to develop modeling tools. If after a review, the Energy Commission decides to continue the project, $1 million will be available to run long-term wildfire scenario models to support the investor-owned utilities and for inclusion in California’s next climate change assessment. The assessment is a planning tool to help communities prepare for climate change. It is published every few years. The most recent, the Fourth Climate Change Assessment, was released in August. The application deadline is March 13. A pre-application workshop will be held at 10 a.m. Jan. 25, in Sacramento. Details are on the Energy Commission’s funding opportunities web page. 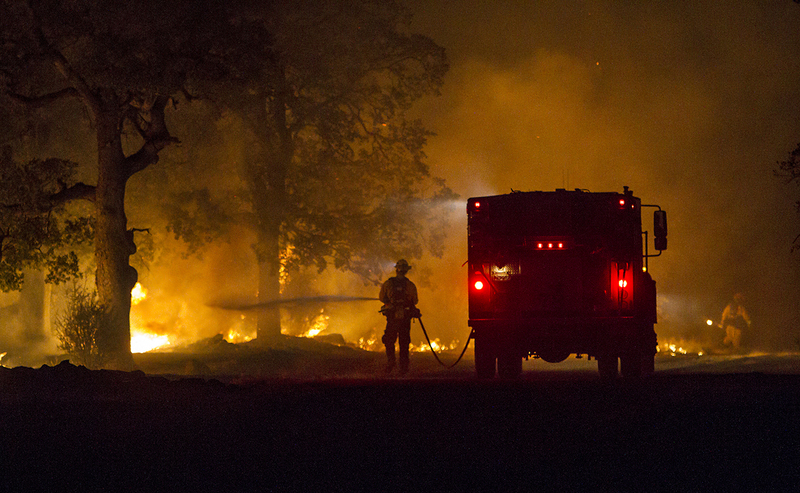 Photo courtesy of the California Department of Forestry and Fire Protection.